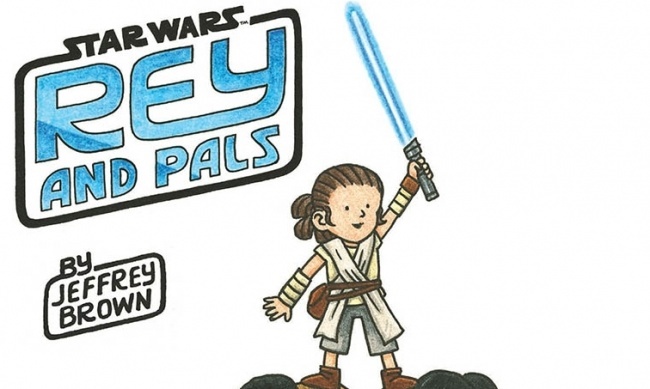 Pint-sized Rey and her friends will play games and go on new adventures in Jeffrey Brown’s latest addition to the Darth Vader and Son series. 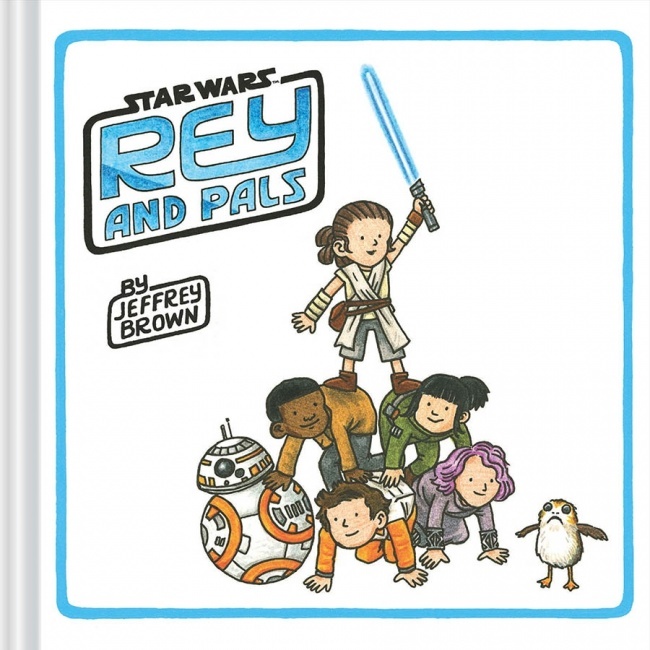 Rey and Pals is a 64-page hardcover from Chronicle Books that will be on sale in August for an MSRP of $14.95. 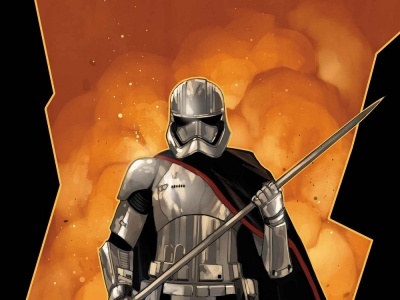 Rey and Pals imagines a world in which Rey and Kylo Ren had grown up together with their friends Finn, Poe Dameron, Rose Tico, and other familiar characters from the third Star Wars film trilogy. 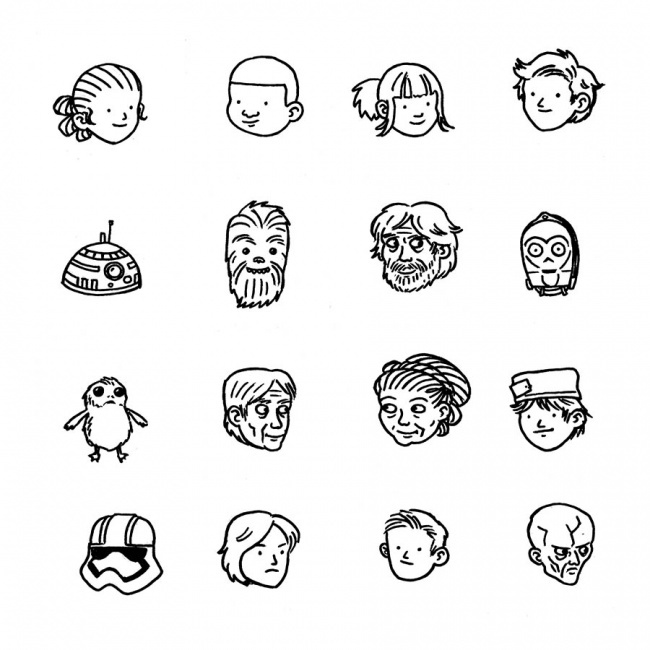 Luke, Leia, Han, and Chewie watch over their charming adventures. Brown’s Darth Vader and Son series, which also includes Vader’s Little Princess (see “'Vader's Little Princess'”), Darth Vader and Friends, and Goodnight Darth Vader (see “'Goodnight Darth Vader'”), has been on The New York Times bestseller list and popular with diehard and casual Star Wars fans alike. Brown won Eisners for Darth Vader and Son (see “'Building Stories,' 'Saga,' 'Hawkeye' Come Up Big at the Eisners”) and Vader’s Little Princess (see “2014 Eisner Award Winners”).